Details about upcoming Apple products get sneaked out all the time—and they often prove to be accurate. Well ahead of the iPhone X’s launch, for instance, news of its name, design, and price, managed to reach the public’s ears. 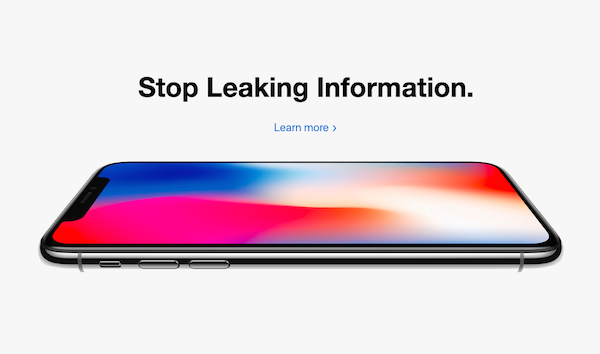 While leaked product information keeps fans in high anticipation, it also gives competitors time to develop their own versions of these gadgets. One recent example was when Google unleashed its first-ever Chromebook tablet just before Apple’s 7 March event, which introduced a new iPad. Both products were on the low budget tier, measured at 9.7 inches, and had the same price. Apple decided that enough was enough. In an internal blog post, it warned staff about divulging confidential information to the media and members of the public, adding that 29 leakers were caught last year and that 12 had been arrested. You can view the full memo via Bloomberg.